Sunday’s trip to Hull Ionians’ Brantingham Park HQ for the final of the Yorkshire Challenge Shield against Old Rishworthians will mark the end of a season that kicked-off last August and saw Scarborough, under their new head coach Simon Smith win promotion to the North One East breaking a string of records along the way. In a season where they lost only six games, the men from Silver Royd had mixed fortunes against Old Rishworthians. In a game played in a gale howling down the Calder Valley in October they fought back from 22-7 down before half-time to go into the last five minutes of the game 32-24 behind. However a late Tom Ratcliffe penalty and a try under the sticks by Billy Parker converted by Ratcliffe saw the Seasiders to a heart-stopping 34-32 win. With the gale behind him Rish fly-half Josh Kelly kicked four penalties and a drop-goal from within his own half and added a second half try. 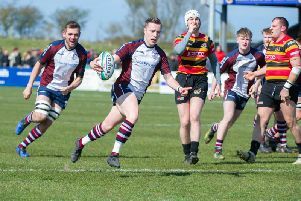 Coming off the back of a four match unbeaten run in February skipper Matty Jones’s men were taken surprise by an enterprising performance from Rishworthians at Silver Royd. Playing far too predictably against a flat defence, they conceded two interception tries to trail 17-0 at the break. A spirited second half fight-back pulled the deficit back to 24-18 but the west Yorkshiremen held on for a hard-fought win. 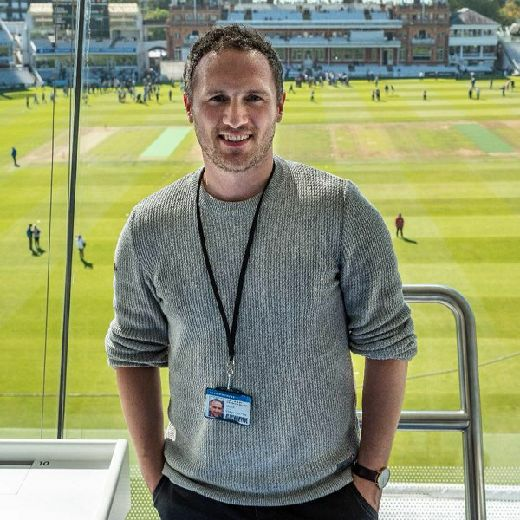 Scarborough appeared to have learned nothing from the first game between the sides when Rish used the same ‘pick and go’ tactics from their forwards and a flat defence. They also conceded two identical interception tries to the one conceded on the road. I’m sure the Seasiders have learned the lessons of both of their earlier games and I just can’t see them underestimating their opponents on Sunday. They now know they have to earn the right to move the ball wide by committing forwards, to mix up their attacking options and get behind the Rish flat defence when necessary. And finally to Josh Kelly who scored 27 of his side’s points in the first game; the big Rish fly-half lost his confidence with the boot for a while and did not kick in the game at Silver Royd but he’s back with a vengeance scoring all 21 of Old Rishworthians’ points in the 21-14 semi-final defeat of Middlesbrough, so discipline is paramount.